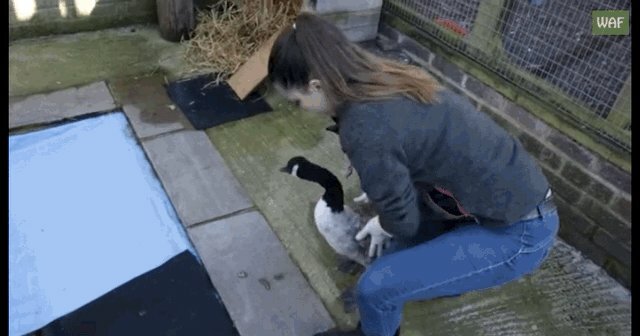 One very lucky goose is getting a second chance thanks to the folks at Wildlife Aid Foundation (WAF) in Surrey, England. This goose crash-landed on a busy highway in late October, and was unable to fly away due to an unwieldy broken wing. Fortunately, the goose has been recuperating at WAF's headquarters for the past three weeks, and is almost completely recovered. 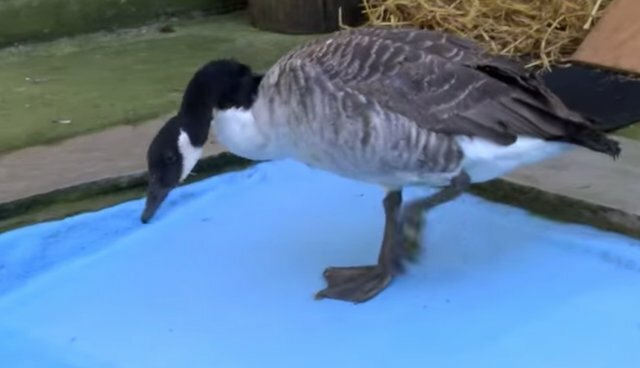 After not swimming for about a month, the goose had to be reintroduced to water slowly. He seemed a bit hesitant about entering the little pool, and took his time waddling down to the edge. Then it was time to test the water just a bit. No need to jump in all at once. 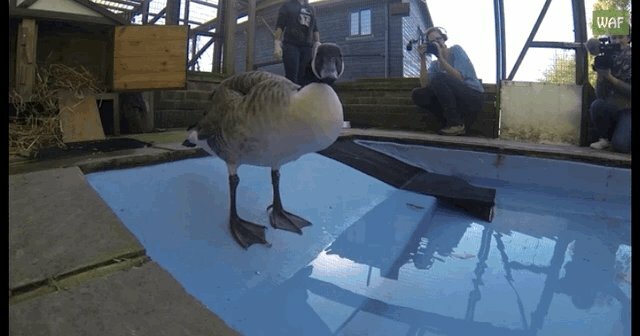 Finally, the cautious goose took the plunge - and of course was a total natural. Turns out swimming to geese is not unlike riding a bike to humans! 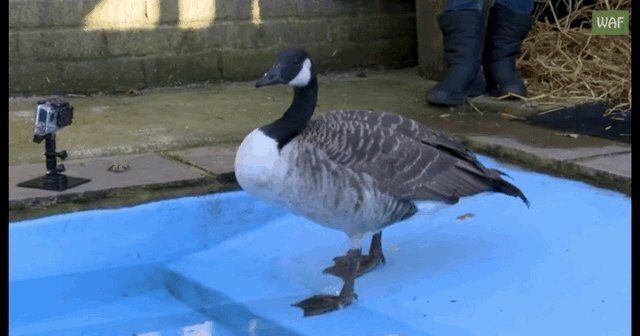 The goose took a moment to take a lovely and refreshing bath. Looks like that broken wing is almost ready for action! Wildlife Aid writes on its Facebook page that it is "so pleased with the ongoing rehabilitation of our motorway goose! Now he needs more space to stretch that wing, so we have released him into a fantastic new environment where he should be able to finish his recovery in style! 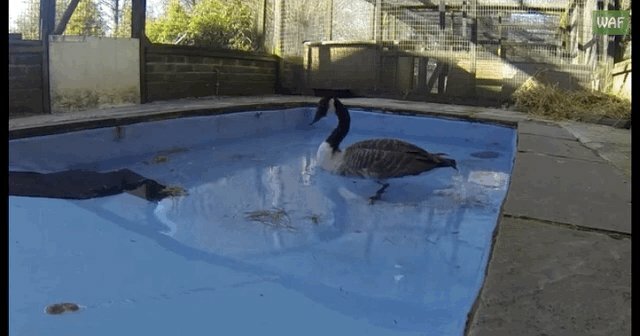 It's a fantastic outcome for a very lucky goose!"